What is the purpose of the Super Value Bins? The super value bins are designed to help someone organize items in their place of work. They can be used in so many different situations because they come in a variety of sizes. They also stack on top of one another, regardless of the other container’s size, which makes them great for storing a wide variety of items. They are even available in different colours so it will be easy to tell what is in each one. They are semi-open in the front so the contents of the bin can be seen without moving it in any way, but the identification labels also make it easy to determine what’s inside as well. There are also super value bins that come in black and are electrostatic dissipative, so they can be used with electrical components without damaging them or becoming damaged by them. 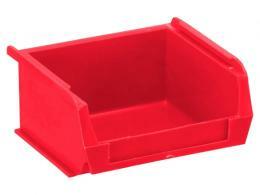 This product can be used anywhere small items need to be organized and held safely. Because they can stack on top of each other, they can be used in many places and won’t need to be stored on a shelf. Many woodworkers make use of bins like these so they can organize their small tools and items when they need to find them later on. They are made out of durable propylene plastic as well, so they won’t be easily damaged by anything that gets put inside them. This material also makes the bins easy to clean out, so there’s no need to worry about putting greasy or messy items in them for storage purposes. Those who may use this product are likely going to be working with a number of accessories on a daily basis. Anyone from a woodworker, a mechanic, or even a fashion designer could find these containers useful. People who find themselves becoming frustrated with a lack of organization in their home or place of work can definitely benefit from the super value bins. 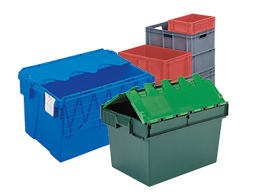 The super value bins come with a 1 year parts and labour warranty. They also come in 5, 10, or 20 packs depending on the size of the bin a customer is ordering. Colours available are blue, green, white, red, or yellow.